Roy Park 2 years, 5 months ago. – Here is How to Install TWRP on Samsung using fastboot for the .img TWRP file. Download and Copy the GApps and Galaxy S2 CM14 ROM ZIP to your phone. First flash the Galaxy S2 CM14 ROM ZIP from device. Then flash the GApps zip from your device memory. Reboot and Enjoy the CyanogenMod 14 Nougat ROM on Galaxy S2. 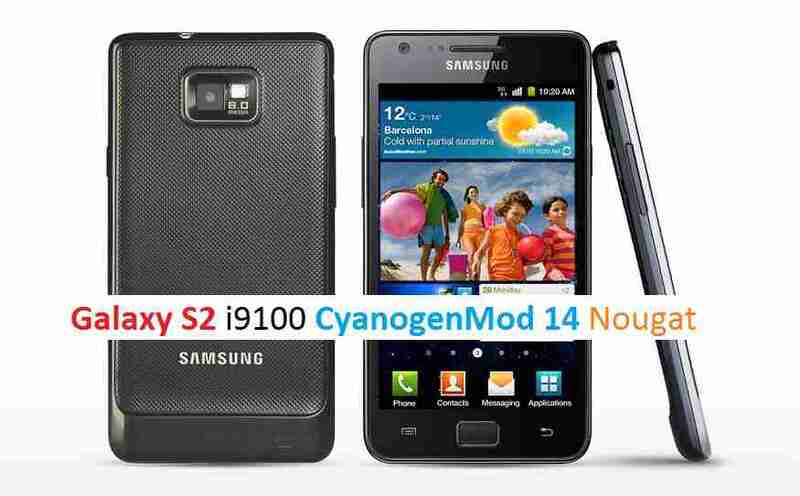 Copy the latest Galaxy S2 CM14 ROM ZIP file to your phone. Stay tuned or Subscribe to the Galaxy S2 (i9100) forum For other Android Nougat ROMs, CyanogenMod 14 ROMs, other ROMs and all other device specific topics. Dev thread for SerenityS’ CM14 for Galaxy S2 (i9100) is here. Ummm.. My s2 says com.android.phone has stopped. I followed the steps you wrote. I used twrp and pico g apps and SerenityS’ one. Could you please help me?